Being a prominent organization of the industry, we offer quality assured Celestron Zoom Binocular in the market. They are sturdy in construction and give pleasant performance to the user. We give complete finishing to our products before the final dispatch and satisfy our customers. 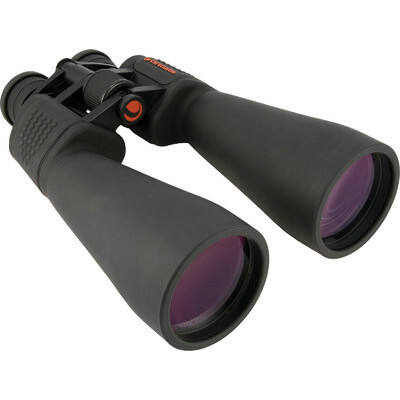 We carry out the detailed processing of our Celestron Zoom Binocular. Our entire products range is appreciated among our clients for their long functional life and dimensional accuracy. Established in the year 2005, we, “Global Tele Communications”, are renowned Manufacturer, Exporter, Wholesaler, Trader, Retailer and Service Provider of Telecommunication Devices in which includes Wireless Two-Way Radio's Repeaters, Wireless Two-Way Base And Mobile Radio's and Marine Equipments Fish Finder. Our offered product range is fabricated using the finest grade raw material and sophisticated technology. We export our products all over the world. The offered range is tested on defined quality parameters at each and every stage, right from the deployment of raw materials to the final dispatch of the packed products. We have earned a dignified reputation in the market owing to our integrity, reliability and consumer focus. Designed and fabricated by our team of skilled craftsmen, these products are also checked on various quality parameters.